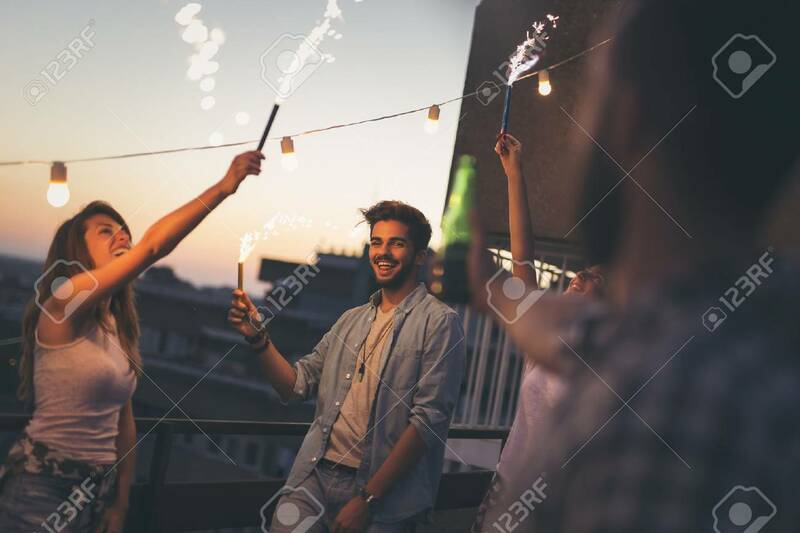 Group Of Young Friends Having Fun At A Rooftop Party, Singing, Dancing And Waving With Sparklers. Focus On The Guy Holding A Sparkler Banque D'Images Et Photos Libres De Droits. Image 98621957.